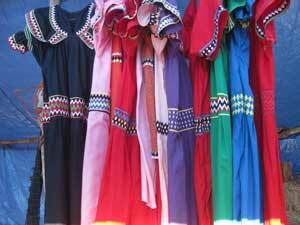 After observing the dresses of the indigenous people in Boquete, Panama I’ve been flirting with the idea of just owning seven different color dresses. One dress per day. A different color a day. I think it would make getting dressed so much easier and save me a lot of money. If I decide to do this I would try to come up with my own design. Something that’s easy to wear and that I could dress up or down with belts and/or accessories. Woke up at the crack of dawn to meet-up for the bus ride to David. Since it was so early traffic was light and we made it in thirty minutes. 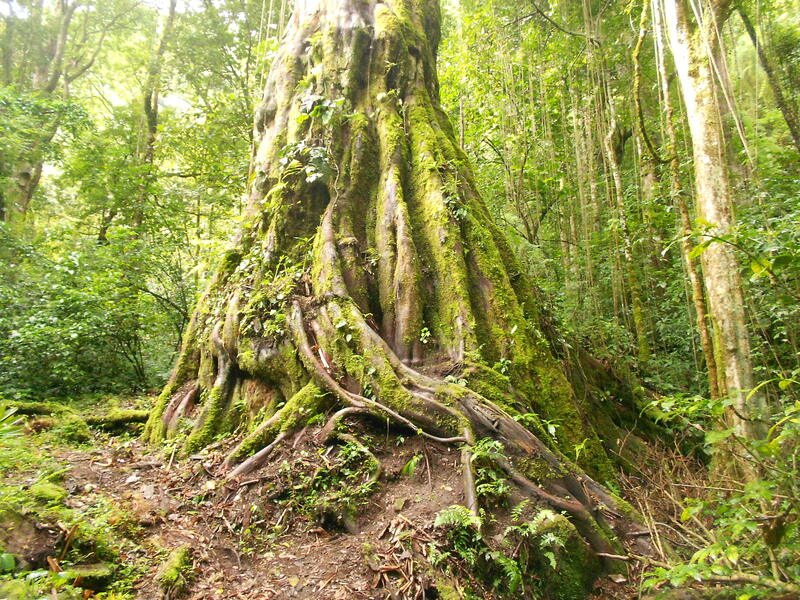 Usually it’s a forty-five minute drive from Boquete to David. Our little group of six from Boquete met up with the rest of the group (26 in all) and travelled in two buses to Boca Chica. That ride was about an hour. 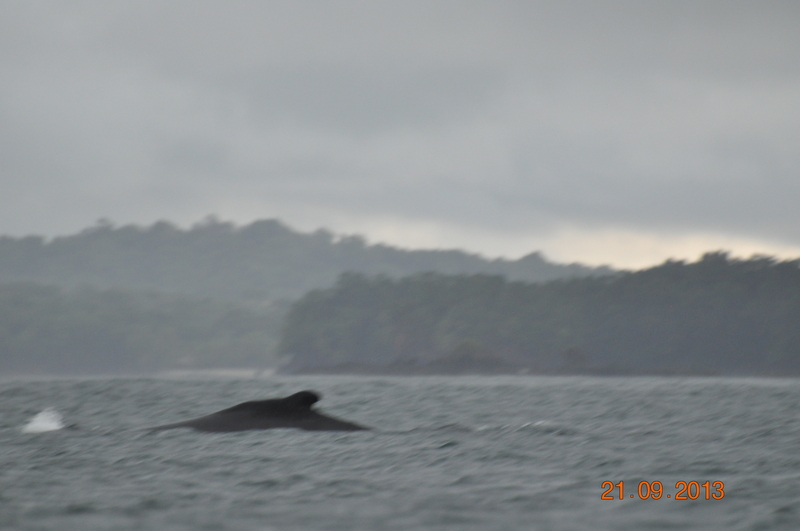 At Boca Chica we got on our boats and went in search of whales. Unfortunately it was raining and cold which made the trip a little uncomfortable but still enjoyable. The whales weren’t very active and our sightings were few. There was no breaching and tail slapping therefore we didn’t get any good pictures. My guess is they didn’t like the rain :-). 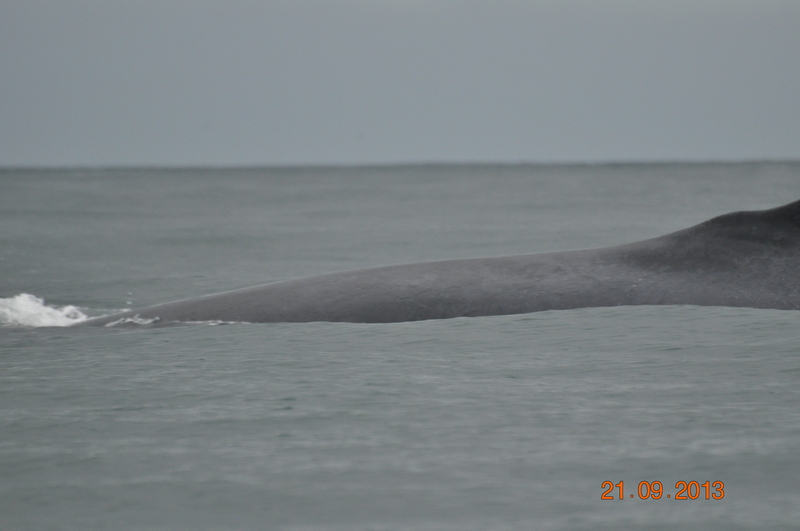 We were told that these particular whales come to this area during September and October to birth their babies. I don’t remember which ones they are because I didn’t write this post until three weeks later. Next time I need to take notes :-(. After our whale watching adventure we went to Isla Gamez and had a picnic. Lunch was served wrapped in banana leaves (I forgot to take a picture of that). Isla Gamez is an uninhabited island where I’m told a lot of locals picnic during the dry season. 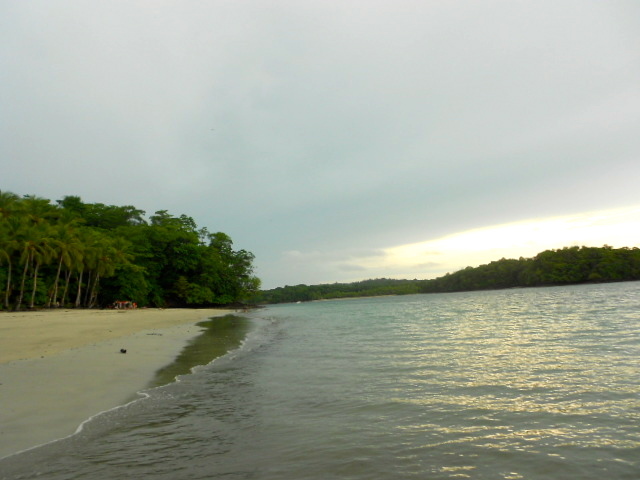 We stayed there for a few hours and left when the tide started coming in. I woke up to the sound of the birds this morning and thought to myself this sounds so much better than an alarm clock. Made myself a cup of coffee, and sat down at the table to watch the birds through the window while I savoured the taste and smell of this locally grown and processed coffee. I cannot see the river from my perch but I can hear it. 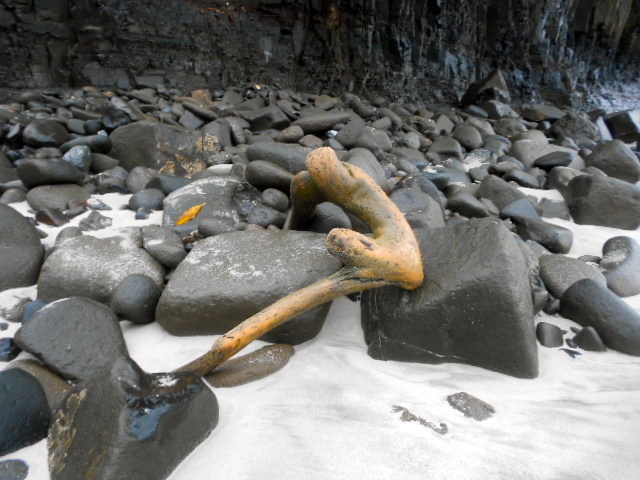 The soothing sound of its steady, shallow rubble on its journey to the sea. It is a cloudy day but the mountains look magnificent in their different shades of green with the mist hovering above. I listen to the calls, songs and music of the birds. Watch their antics as they vie for position while feeding on the bunch of bananas and other assorted vegetation and realize I am at peace. 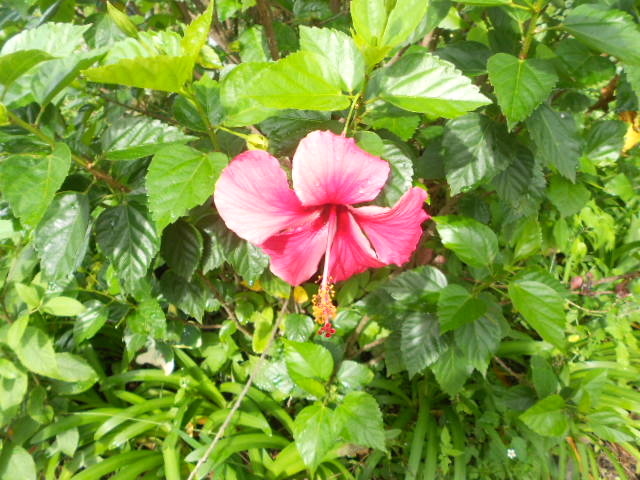 I am happy to be alive and able to partake in the beauty and bounty which the universe has provided. Today is the last day of my picture a day series. It’s another picture of everyday life in Boquete. 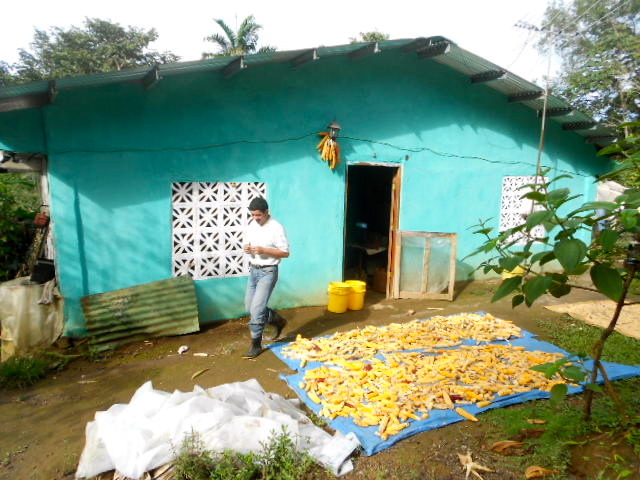 I was about to snap a picture of the house and the corn laying out to dry when the gentleman walked out. I hesitated because I wasn’t sure whether he was about to ask me not to. However he just wanted to have a conversation with us and said it was ok to go ahead and take the picture. So many guavas go to waste here. Tree after tree is loaded and they just fall to the ground and rot. 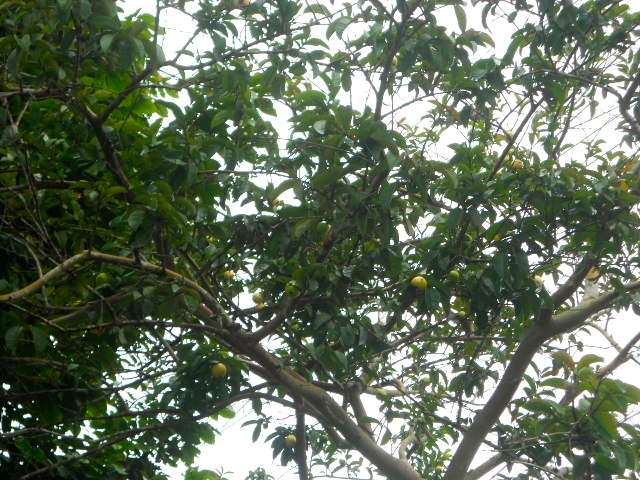 Whenever I go past a guava tree I try to pick the ripe ones within my reach. On this day I was only able to reach one, I rinsed it off with water from my water bottle and proceeded to devourer it. My group of hikers was moving on and I had to walk away. They couldn’t understand my fascination with the guavas and why it hurt me so to see them go to waste. 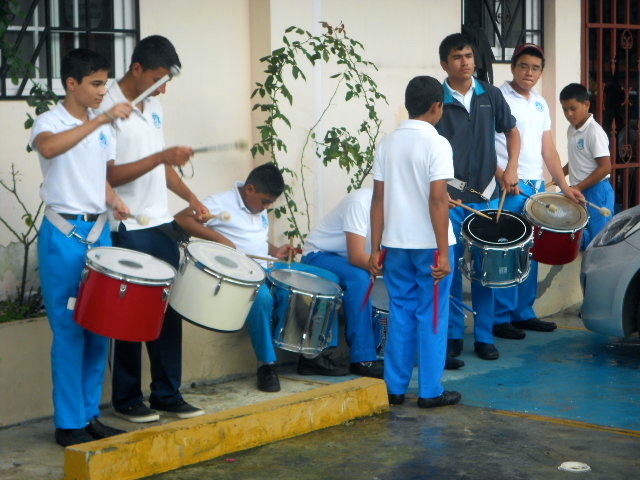 I walked past this school and the kids were banging on drums. I’m told they are practicing for Independence Day celebrations. November is a huge month of celebrations for Panama. Panama celebrates it’s Independence from Spain and Columbia in the month of November. Unfortunately I won’t be around for the celebrations. I fly out the first day of November. This guy is on the Panama leg of his trip. 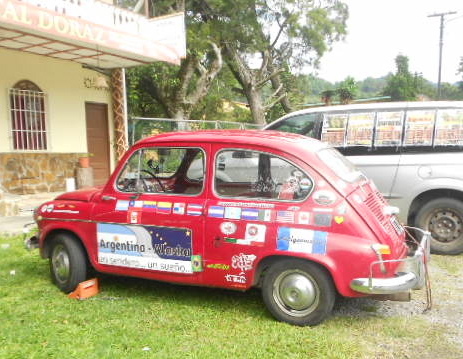 He is driving from Argentina to Alaska in this Fiat. I’m guessing he’ll have to take a few ferries or boats in between. I wish him well. You can follow him on facebook.com/ArgentinaAlsaka. I had a friend take a picture of me with the car but I look horrible next to the car so I’m posting this picture of just the car instead :-).